Have a sweet tooth? Me too! When I was in college I used to have a cupboard filled with tasty, unhealthy snacks: mini candy bars; Double Stuff Oreos, Chips Ahoy, and Girl Scout cookies; Little Debbie Star Crunch, Oatmeal Cream Pies and Brownies. Today I’ve cleaned up my diet and prefer to snack on fruit or a handful of almonds, but I do still enjoy a delicious treat on occasion. I wanted to make something sweet for our camping trip over Memorial Day weekend. There would be s’mores of course, but in my book, you can never have too much sugar while camping. I found this easy recipe via Pinterest at Spicedblog.com. The recipe calls for an 8″ x 8″ baking dish, which I know is a common size, especially for desserts. I’ve never had one and have always used my 8″ x 11.5″ dish instead. Never again! I finally purchased an 8″ x 8″ dish and look forward to using it frequently. 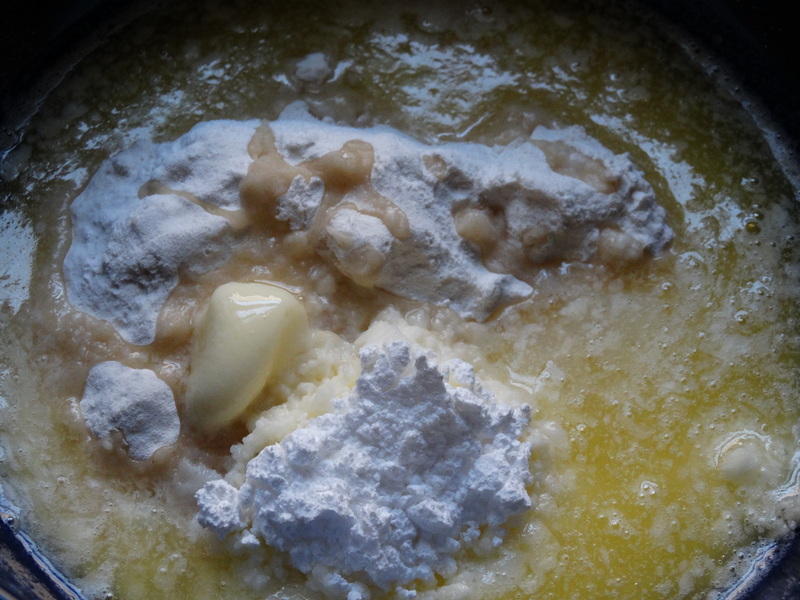 Add 1 cup flour, 1/4 cup powdered sugar, and 1/2 cup melted butter to a medium mixing bowl. Stir until thoroughly combined. 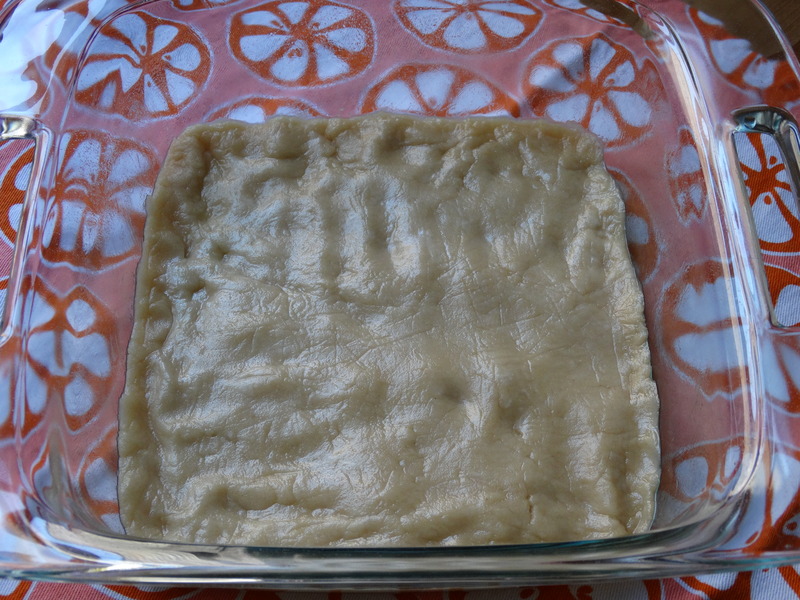 Press the crust dough into the bottom of an 8″ x 8″ greased baking dish. Once your oven is heated, bake the crust for 20 minutes. 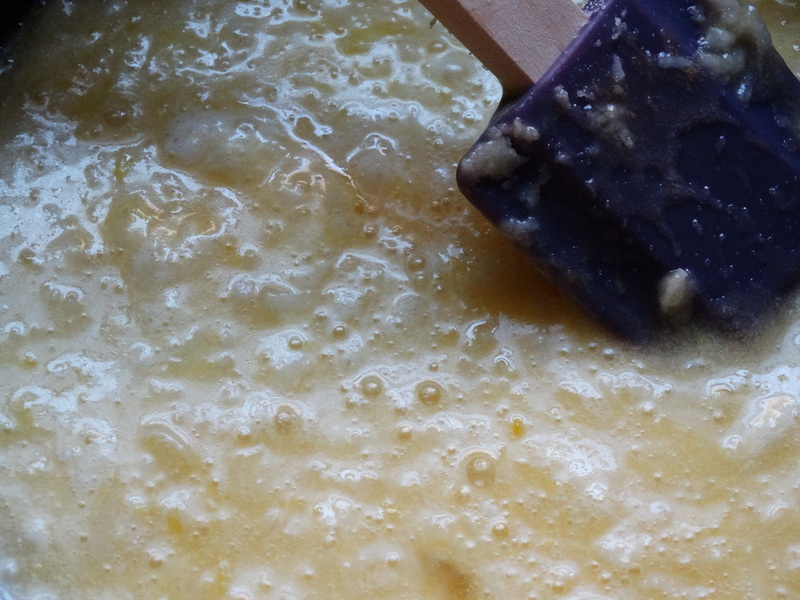 While the crust is baking, prepare the lemon topping. 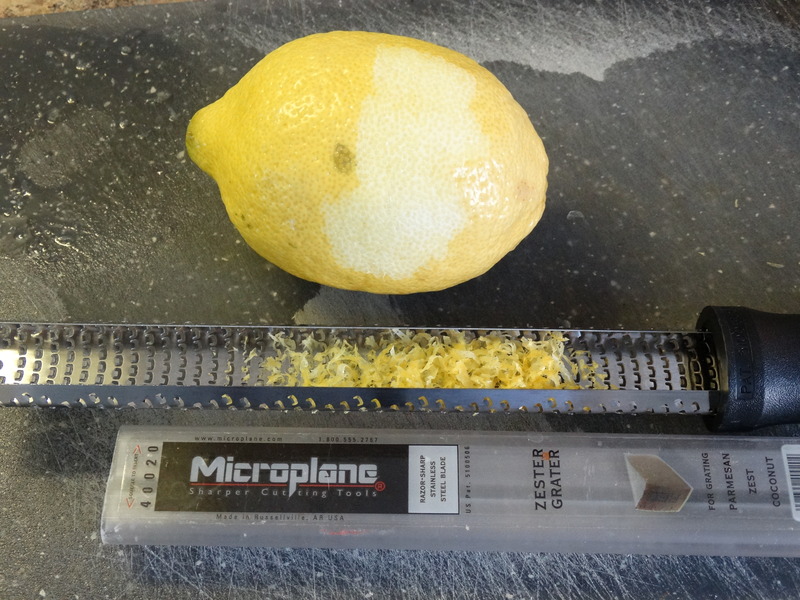 Zest a lemon or two until you have 2 teaspoons worth. I found it easiest to do this with my microplane. 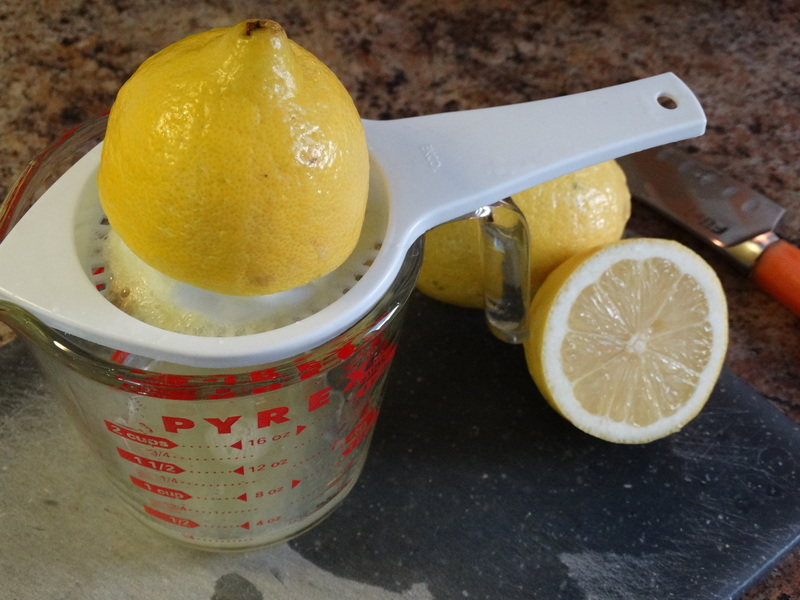 Next, squeeze your lemon(s) until you have 3 tablespoons of juice. You can use a juicer as I’ve done below, or you can squeeze them by hand over a mesh colander to catch any seeds. 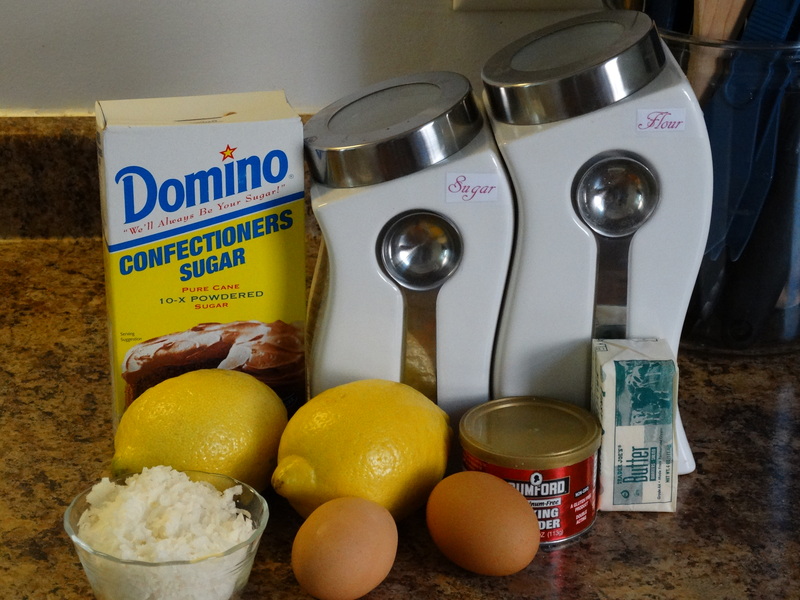 Add one cup sugar, 1/2 teaspoon baking powder, 2 beaten eggs, 3 tablespoons lemon juice, 2 teaspoons lemon zest, and 1/2 cup shredded coconut to a medium mixing bowl. Stir until well combined. When the crust comes out of the oven, pour the lemon topping over it while it’s still hot. Put the dish back into the oven and bake for an additional 25 minutes. 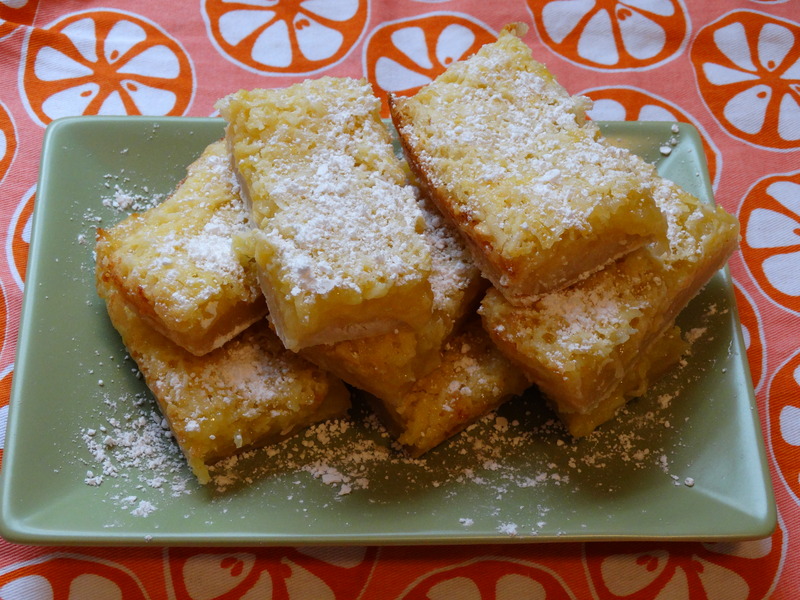 Remove your baked lemon bars from the oven and let them cool completely. Then chill the bars in the refrigerator before you cut them. (I cut mine into sixteen 2″ x 2″ squares.) Sprinkle the top with a bit of powdered sugar. Be sure to grab a napkin – they are sticky! 2) Mix 1 cup flour, 1/4 cup powdered sugar, and 1/2 cup melted butter. 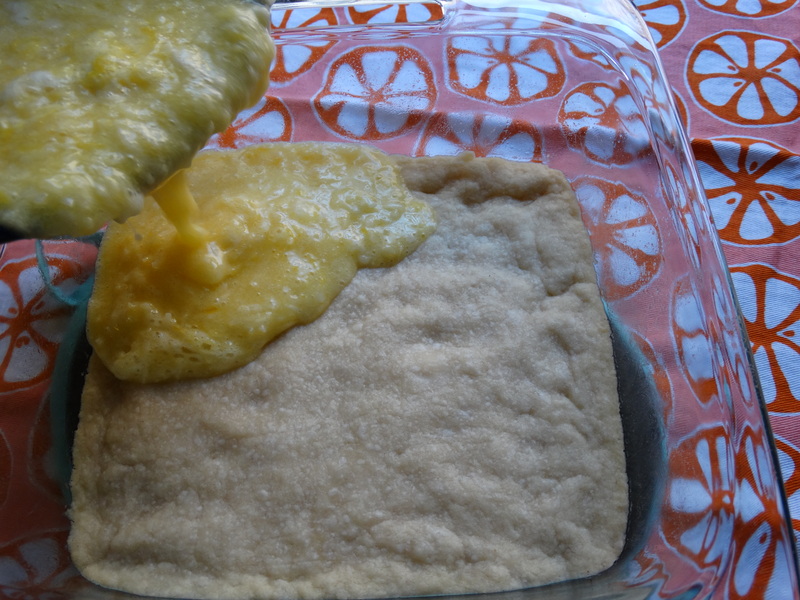 Press into a greased 8″ x 8″ baking dish. Bake for 20 minutes. 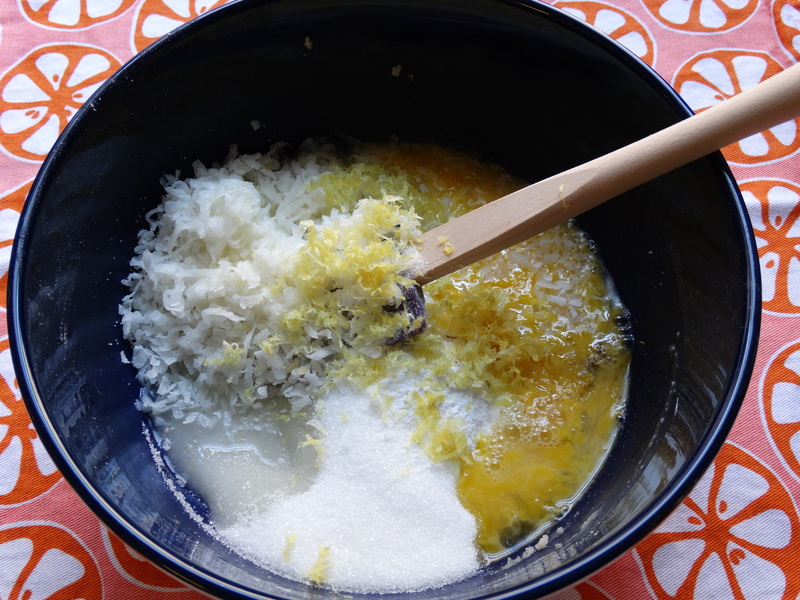 3) While the crust is baking, mix 1 cup sugar, 1/2 teaspoon baking powder, 2 beaten eggs, 3 tablespoons lemon juice, 2 teaspoons lemon zest, and 1/2 cup shredded coconut in a medium mixing bowl. 4) Remove the crust from the oven and pour the lemon topping over it. Return to the oven for 25 minutes. 5) Cool completely and then chill. Cut your bars and sprinkle with powdered sugar. Glad you found this recipe! It’s one of my all-time favorites for the summer!